At Bromstone we do. 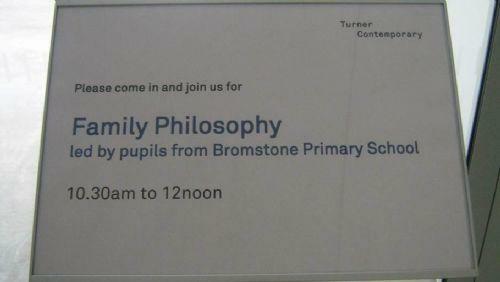 Every week the children take part in a Philosophy session. We share a story, picture or news item as a stimulus and then ask profound questions. We are so good at it now that our Arts Partners, The Turner Contemporary asked some of our pupils to become 'Navigators' at the gallery. They had to engage members of the public in Philosophical discussions about how art works.